Vacation rental condominium. Sleeps 4, 2 bedrooms, 0.75 bathroom. No pets allowed. It doesn't get anymore convenient than this! 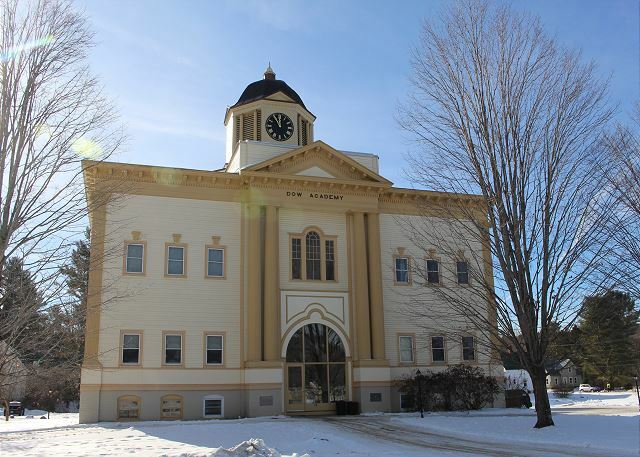 Located in the heart of downtown Franconia, NH, within walking distance to shops and a 5 minute drive to Cannon Mountain. 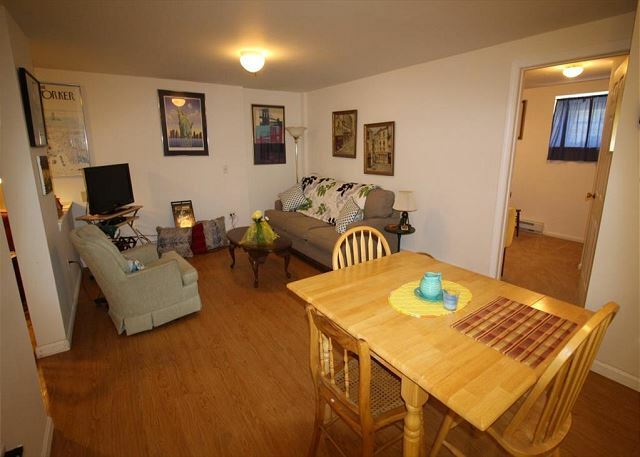 2 Bedroom, 1 Bath,fully equipped condo, sleeps 4 with easy access and NO maintenance. Includes ample parking. 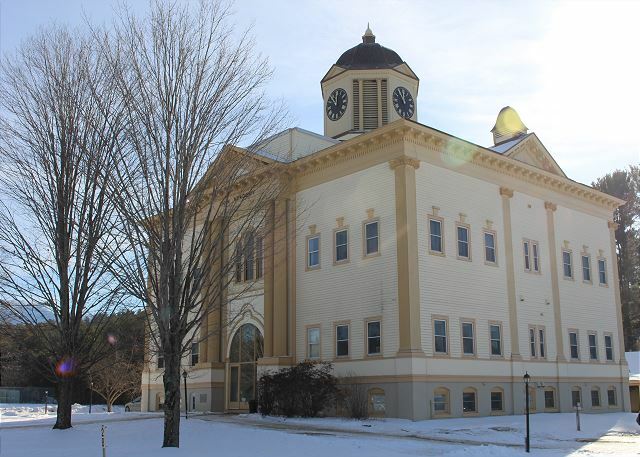 A view of the property during warmer months. 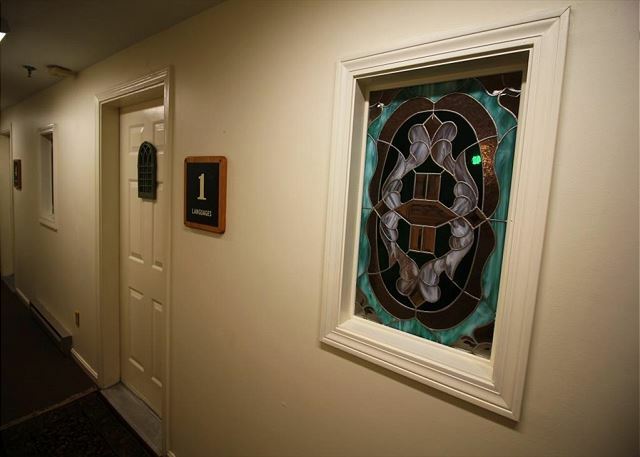 Step in to the School House Condo No. 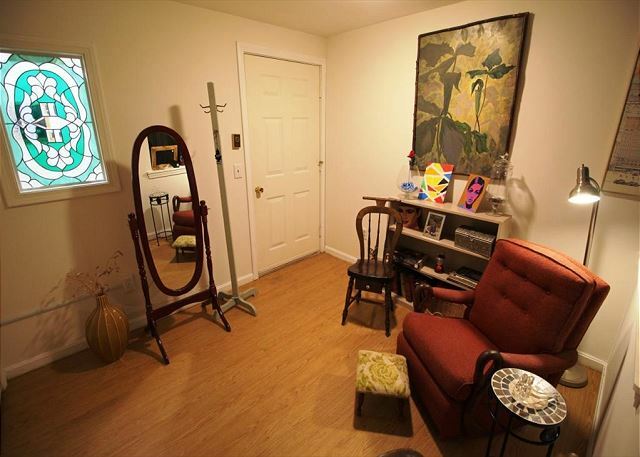 1 to find a clean easy living interior with an over-sized closet in the entry for all your gear. Skis stay outside in the locked storage area though. Looking from the kitchen toward the dining and living areas, with the bathroom on the left and the bedrooms on the right. A second view of the living space... simple & easy comfort for the max occupancy of 4. Just perfect for a couple or young family. Now looking from the opposite side, standing by the TV looking toward the kitchen. 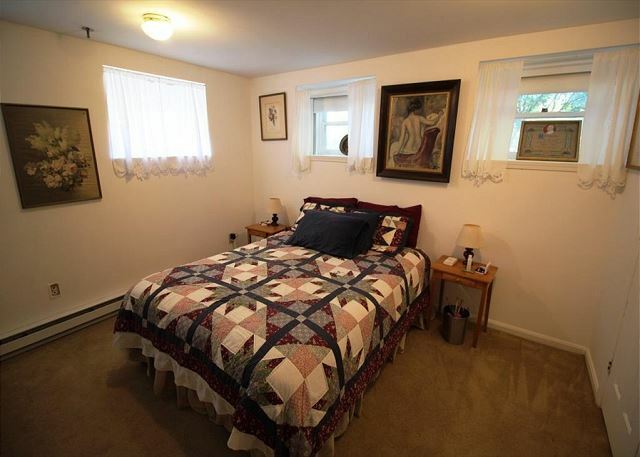 Bedroom #1, Master with queen bed and TV with DVD player. The School House No. 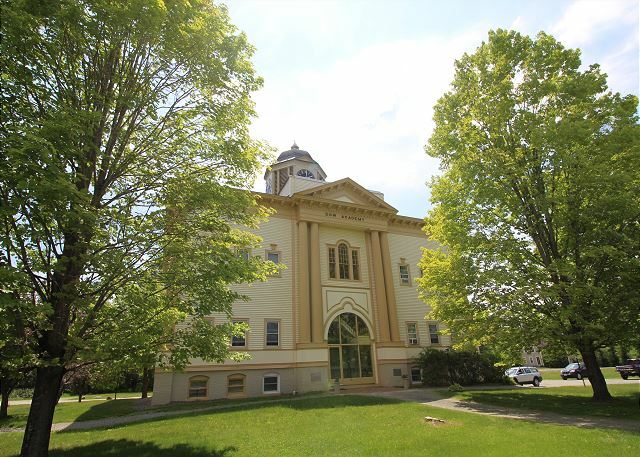 1 Condo unit, with a location conveniently close to Cannon, is part of Franconia's historic Dow Academy. 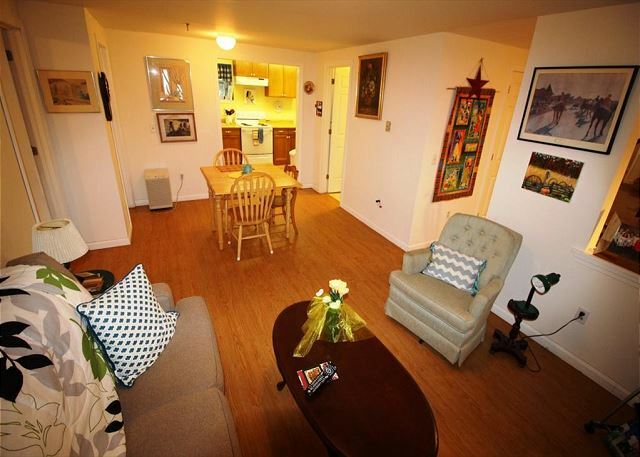 Less than .2 miles from I-93's Exit 38, and under 5 miles to Cannon, this fully furnished condo is clean and ready for your immediate and easy enjoyment. 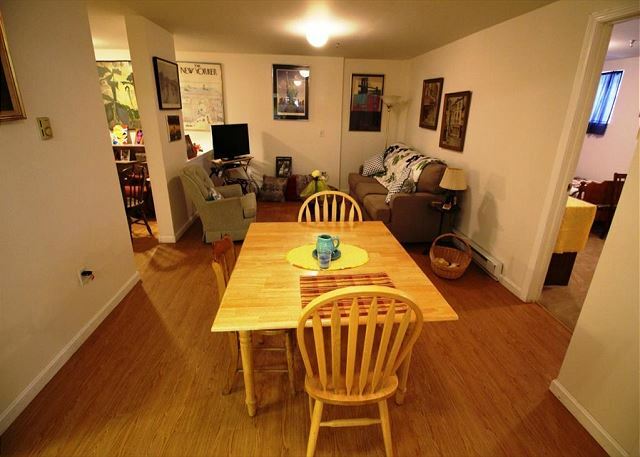 A ground floor unit with just 3 stairs down to the main entry, getting home at the long day's end is a breeze, and since all the property maintenance is included you won't ever need to be concerned with shoveling or plowing your way in or out. 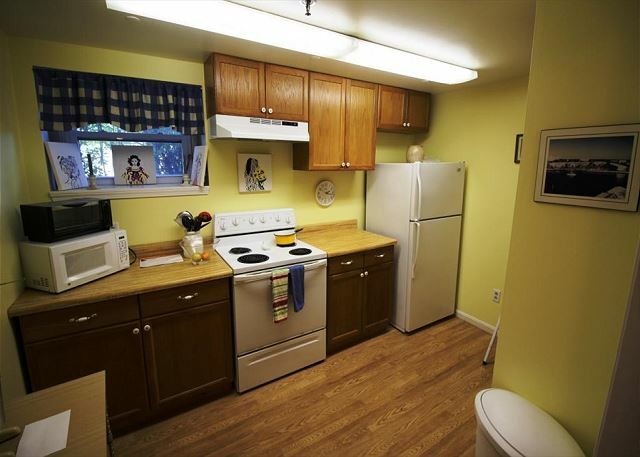 The fully equipped kitchen makes meal time a snap, where the common area washer/dryer assures you can dry your mittens & ear muffs whenever necessary. 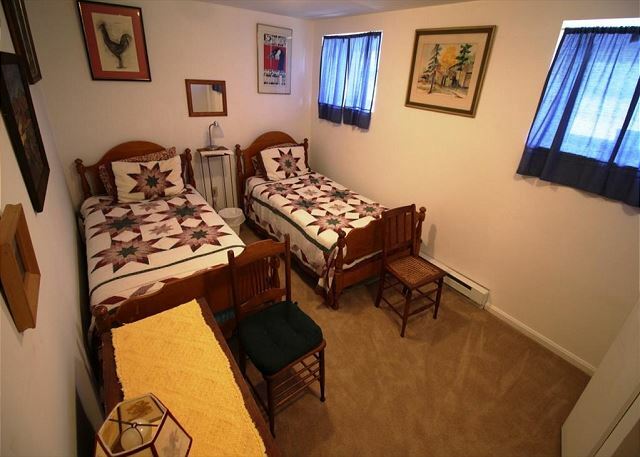 Ski storage space is also included, and if Cross-Country or Snow-Shoeing is a pleasure, just step out the door onto the "Dow Field" right across the street and away you go. This is THE opportunity of the season for a reason! Call 800-247-5536 for complete details and to seal your spot for the season ahead. Entertainment 25" TV or larger, TV Only- No Cable or Satellite. I very much enjoyed my occasional stay in this lovely condo. The condo was very clean and the furnishings were also lovely. The property management company was responsive to several concerns that arose during my three month stay: issue with electrical fuse and testing of sprinkler system.